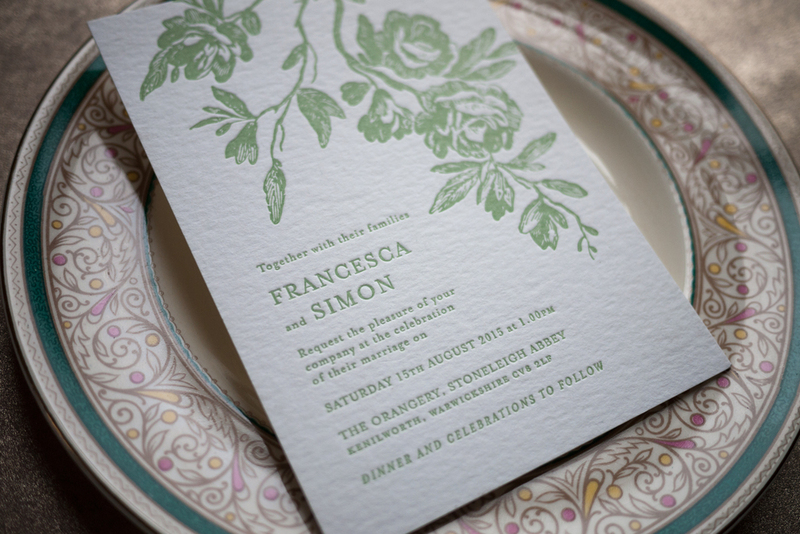 Modern botanical letterpress wedding invitation featuring vintage flowers printed in colour for a modern twist. 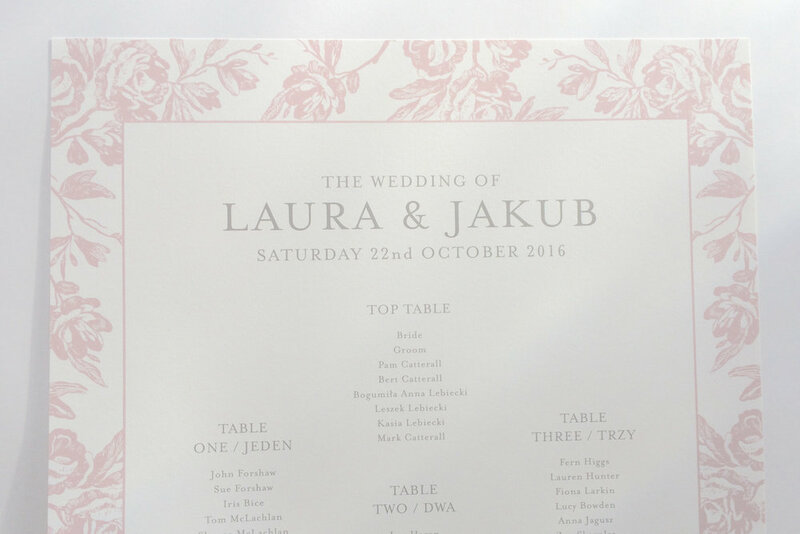 This floral delight can be printed in one or two ink colours of your choice to co-ordinate with your wedding. Perfect for the spring or summer wedding. 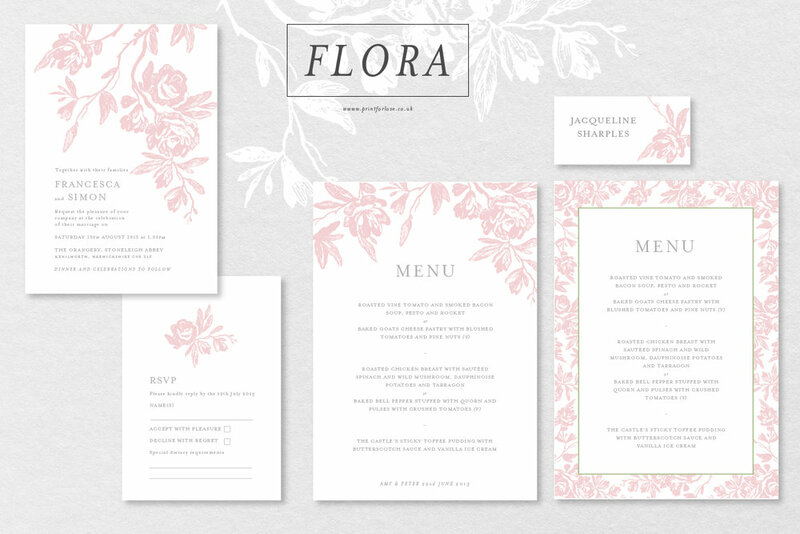 A soft blush pink, peach or yellow teamed with a soft grey for summer.